Trying to be an eco-mum on a budget | I've been 'green' for a long time, now the challenge is to maintain my ideals with three kids, limited time and resources. Can I do it? Life is taking me on quite the busy journey at the moment. Raising three kids and work keeps me all too busy. I have however had this topic on my mind for quite some time and finally have decided to sit down and write. Every day I am reading a terrible statistic and report about the state of our world. Today’s one was about the crazy rate of deforestation. Apparently there is one football field worth of forest lost every second. With all the football watching going on right now, it should be an easy one to visualise. So let’s repeat that one – slowly. One football field of forest lost. Every second. As with many reports on the environment, it is very easy to feel hopeless and overwhelmed. While action to reverse is needed urgently, we need to also look at what is possible in our neck of the woods – excuse the pun. One of the areas I feel strongly about, is the need to re-connect with nature. There are many benefits to this, from improved mental health and wellbeing to community connections to re-learning lost skills. It goes without saying that this will lead to improved biodiversity outcomes. One of the ways to re-connect with nature is through Citizen Science. This essentially means that anyone can be a scientist and that we can all work to help document flora and fauna in our local area. This helps scientists monitor and track information, and gets the community out and about looking closely at what is in their neighbourhoods. This participatory approach to science is a great way to get people involved in their local community and a wonderful introduction to science for children. Many many years ago, I worked on a project called the Willoughby Wildlife Watch project which in essence was a citizen science program. It asked residents to report wildlife that they saw. This was then included in a state-wide Atlas, thereby creating a good baseline and allowing monitoring of wildlife, particularly in urban areas. Over the years, amateur scientists have become involved in science. In fact amateur astronomers have made many discoveries including finding a scar on Jupiter and even finding Uranus (William Herschel, 1781). It’s estimated that these volunteer scientists provide in-kind contributions valued at about $2.5 billion a year! (https://en.wikipedia.org/wiki/Citizen_science). While winter might be time where we all want to get indoors – it might also be a really interesting time to be out there checking out plants and animals in your area. Another year has flown and what a year! Highs, lows, fun times, not so fun times. For me, 2017 has been a time where I’ve focussed on my career and family. My youngest daughter has started pre-school and while she loves it, it’s taken a little one for this spirited one to settle into the new routine of her Montessori pre-school. 2017 was also the year where my middle daughter started ‘big’ school. Going from Montessori to a public primary school was quite easy for her and she’s thrived and done very well. She’s one of those kids that loves to learn anyway – which is lucky. For my son, 2017 has been a year of cementing friendships and perfecting the art of lego making! With his two closest friends moving to another school and overseas, the next year is going to bring lots of changes for him. For me, I’ve managed to do a few things that have been on my ‘to do’ list for a long time – getting chickens and continuing my gardening around the house. Work has rewarding with me having completed some great projects and made wonderful friends. The year ends however with me saying farewell to my previous job and welcoming another one. As the year ends however, I like to work with my children to give family something home-made, from the heart and special for Christmas. This year, I decided on home-made granola! I like it because it’s simple to make and you can be creative with it. It also went down a treat! Mix all the ingredients except the goji berries and puffed corn. Add the maple syrup and coconut oil and mix through. Removed from the oven and mix through the goji berries. Set aside to cool. Once cool add to jars and decorate as you please. May you have a peaceful, healthy and prosperous 2018 full of love and joy. Life sure has been busy of late. Three young children and their activities along with work keeps me super occupied. I have however found the time recently to finally realise one of the items on my home ‘to do’ list. It may have taken a while. Like a really long while, but finally our home has welcomes four chickadees! Our hens joined our family about 4 weeks ago. My children have had some experience with chickens are part of ‘chook chat’ at their school. The four chickens at school are cared for on a roster by students, mine included. Students collect the eggs and every now and then do a big cook up. I love this way of engaging with the kids. So with the ice broken, I decided to get the ball rolling at home and get our own chooks. It’s taken about a year from the time I bought the coop – to constructing the run – to finally getting to the exciting part – making the trip to a nursery to buy our hens. It’s been worth the wait though. Pepper, Caramel, Blackie and Tiny Ninja are now well and truly at home with us. After some good tips from a work friend, we ended up buying two Australopes and two Isa Browns from New Leaf Nursery: http://www.newleafnursery.com.au/ They were especially selected by the chook whisperer there for our family. The good thing about the Australope hens is that they lay eggs throughout their lives. The Isa Browns we bought because of their good nature. So far all are pretty friendly, though not super friendly because we’re not at the stage where they come to you and sit by your feet. We’ve had the occasional toe and leg pecking, but after holding them and spending more time with them they seem to be coming around. They especially love me because I’m usually the source of food! Now, if a garden of veggies and some fruit and now chickens wasn’t enough, last week I discovered a new mysterious bird. At first I thought it looked like a cross between a quail and a duck. After many misses in trying to photograph it, the bird ended stuck on the trampoline. After taking some great photos, I sent them to my local Council for identification. They confirmed, that it was not a quail, but a Bush Turkey and while I am a friend of wildlife, I am not so sure about having a bird make itself at home in the garden I have spent some year building up. Time will tell whether it decided to stay. So far the hens are wary, but the Turkey doesn’t seem fazed. Now with my garden project pretty much complete, I can sit back and enjoy the years of work and planning that’s gone into my very own urban farm. Or maybe not! Next on my ‘to do’ list: ‘bug hotel’/ native beehive and possibly a frog pond. ..watch this space! Get the kids involved in feeding them and enjoy! What is community and how to do build one? Community can mean different things to different people. It can mean a group of people within a geographic location, or it can mean a group of people with common interests. Whichever way you look at it, more and more it seems that we’re losing that sense of community connection. Even me, though I have good contact with a few neighbours, my attempts at building a greater sense of community with the neighbourhood have failed. My planter boxes on the nature strip have mostly become an extension of my own home garden with only one neighbour taking the odd vegetable every now and then. That one neighbour did also leave me a lovely Christmas gift and card, which was super sweet. But not one to give up on a challenge, I decided to host a ‘Neighbour Day’ afternoon tea and involve my children. As I have some elderly neighbours, I thought it would be a good opportunity for my children to meet some of the older folk, and for my neighbours to meet some new people. You never know when they may need some help and it would be good for them to know that someone’s looking out for them should they need help. There is a lot of talk about disconnection. In an age where we are more connected than ever through electronic means, the face-to-face connection is sometimes lacking. The reasons for this are varied. Time is usually the main one. I for example have three children, but have some time to think about these things and chat to neighbours when I bump into them because I work part-time. This sense of connection and talking to neighbours and getting to know them is what I want to instil in my children, which is why I wanted to get them as involved as I could in the Neighbour Day event. My daughter designed a fun invite which she delivered with her brother to some neighbours. The results were a little mixed, we did manage to get a few RSVP’s, but we weren’t overwhelmed with the response. We decided to make an afternoon of it anyway. Together we put together a lovely afternoon tea with a few neighbours also contributing. The result was neighbours meeting for the first time and a great afternoon spent between neighbouring children. We talked travel and possums (we all share the possum problem J) and favourite recipes. This is something that I’ll definitely try again! If you want to get involved in your local area, contact your local Council. They usually have a lot of information on local community groups, volunteer opportunities and local events. Otherwise, host a BBQ or afternoon tea. The Neighbour Day website has some suggestions too: http://www.neighbourday.org/ they have lots of information, kits and even recipes to share. Discovered in ancient Egypt, this sodium compound which is called Natron was used in the mummification process. Over time, European chemists discovered that another form of pearlash was effective in helping the baking process. 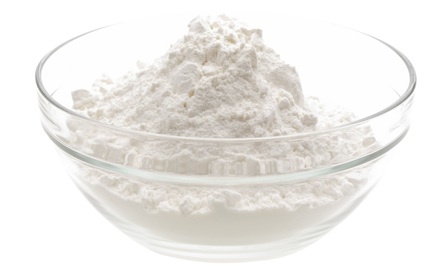 In 1791 a French Chemist Nicolas LeBlank turned common salt (sodium chloride) into soda ash (sodium carbonate). This was later developed into sodium bicarbonate in the USA. Bicarb soda is like this miracle ingredient used in so many things. I’ve used it to make natural toothpaste I’ve done this by dipping my toothpaste and then brushing. The taste isn’t the usual minty taste that I’m used to, but trust me, my teeth were super clean and shiny afterwards! My mum’s used it as deodorant and she swears by it. I’ve not tried this though. I have also heard of people that don’t wash their hair with shampoo, and instead do a ‘dry shampoo’ using bicarb soda. 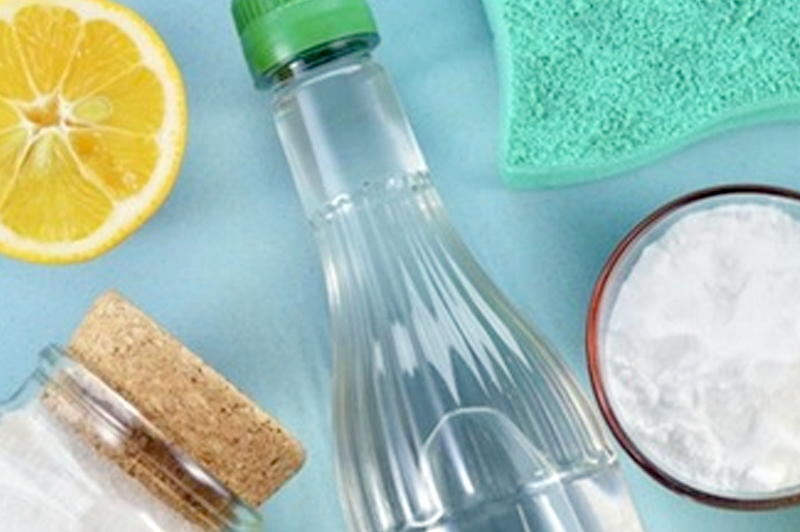 For cleaning I use bicarb soda a number of different ways. I add a little water and make a paste. I use a toothbrush and clean the grouting in between tiles in my bathroom and to generally clean the bathroom and kitchen sink. I also use it to keep my pots and pans looking good. Bicarb soda is also great at keeping things smelling fresh. There has been instances where my fridge will get very smelly. All I do is either keep a packet of bicarb soda opened in the fridge or even some fresh coffee grounds. You can buy big containers of cheap white vinegar in most supermarkets. This is my secret weapon around the house. I use it to clean the tiles in my bathrooms, my shower recess, windows and pretty much any surface. I often add some bicarb soda and vinegar to a load of washing and it brightens up my clothes. My other tips is to pour a little bicarb soda down the drain and then add vinegar – watch the frothing action, then leave for half an hour and come back and pour boiling water down the drain. A wonderful way to keep your drains clean and fresh without the use of harsh chemicals. Both of these products can be bought so easily and are really effective and cheap. You also won’t feel so horrible and congested afterwards and your hip pocket and the planet will thank you for it. 2016 has been a whirlwind of a year and life doesn’t seem like it’s going to slow down any time soon. I guess that is the life of a working mum of three kids. And a mum with a garden too! Add everything together. I filled half the jar, added some of the herbs and pressed a few against the glass to make it look pretty. The jar was filled, I added the olive oil and decorated the jars. Earlier this year, I went to Italy. Yep – a big overseas trip with three children! Not sure what I was thinking, but I really wanted to go and I try to be one of those ‘My kids are going to stop me’ kind of mums. So we saved and saved, got the time off work and booked the trip. Everyone was excited. It was our first big trip after the birth of my third child. Everything started well. We had a stop in Abu Dhabi which still feels like home to me. We caught up with friends and enjoyed going to some of our old haunts and checking out some new ones. Abu Dhabi really is so easy and fun for kids. Parks and beaches galore! We first flew to Venice. Beautiful yes, but we were a little bit of a walk from the main sights, so lots of walking and not so much fun with a pram. Up and down bridges and steps! The kids had fun though, but after about 5 days of not being able to really let them get loose in a park (a crowded plaza really is not the same), we moved on. We were even brave enough to hire a car and so our Italian road trip began. How was travelling with three kids in Italy? A LOT of work. We managed to remain sane for most of the stops. We stayed in apartments and tried to incorporate children friendly activities and days throughout, but by the time we arrived in Rome everyone was tired. We could only get them so excited about museums and after many tense experiences (the Vatican was the most intense and stressful experiences of the whole trip – so so many people) at various sites, we decided in Rome to try our hands at making the experience of going to museums more fun for them. One of our tricks was a treasure hunt. Through this we hoped that the older two would actually even look at some of the art works. It worked a treat – but my kids take treasure hunts VERY seriously, so we really had to research to make sure that the things we put on their list, they were able to be find. While they enjoyed the trip and the copious amounts of gelato and pizza they got to eat, the whole trip was so draining that I swore to never do a big trip with them again. Yes we’ll see how long that lasts. Once we got back to Sydney life continued at a breakneck speed. But in all the insanity we did manage a trip to the Art Gallery of NSW to see the Frida Kahlo and Diego Rivera exhibition. I had been meaning to go for a long time and finally got the time to do it. But with some of the pain of our Italy museum experiences fresh in my mind, I decided to re-visit my survival toolbox and out came the Frida Kahlo activity sheet! No, the art gallery did not in fact have anything for kids, so I did some research the night before and put together an activity sheet. Did it work? Yes – for the older two it did. While they were busy with their activity pack, I did get to wonder through the exhibition and I have to say I was a little underwhelmed. The art works were great, but there really wasn’t too many of them. Much of the exhibition was a celebration of the artists, rather than the art. We photos and video footage being the centre of attention. So from that regard, I was a little disappointed. Also the exhibition was VERY crowded. The way we experienced it was to be in a big conga line and just walk single file past the art works. There was no place to sit and linger, which made doing one of the activities I had (to sit in a quiet area and draw one of their favourite paintings) nearly impossible. In the end I was glad to go because if I hadn’t I would have wondered about what could have been, but the most fun we had was going to the Sydney Botanical Gardens. My daughter had just attended a school excursion there so was full of excitement to show me her favourite parts. The whole day was helped by the glorious show of weather Sydney had for us and with the promise of a gelato at the end of the day, the kids enjoyed the rest of the day. So my tips for a cultural day out – bribery with gelato and an activity pack that includes a treasure hunt! I’ve included my Frida Kahlo one. I hope you find it useful.